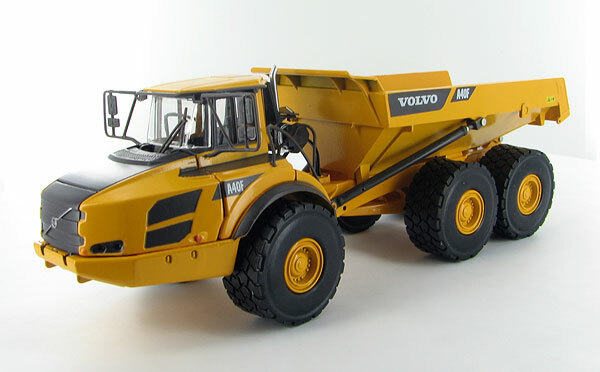 I just received the Volvo A40F ADT from 3000Toys. 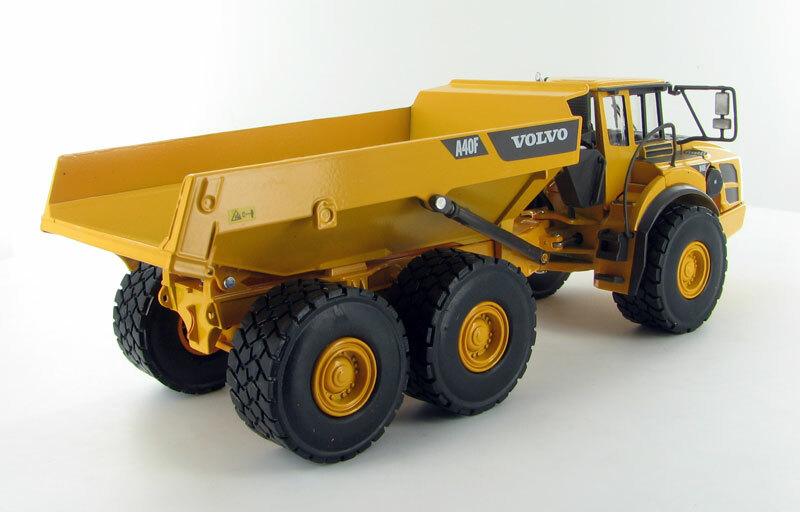 I've recently added a few different ADT's to my collection, and the Volvo caught my eye. Overall, a good, solid model. The paint quality is pretty good with good definition between the yellow and flat black areas. There is some slight mis-match of color on the yellow plastic parts, but it still displays well. The hood flips up to reveal a fairly detailed powerplant while the front section flips down for access to the very front of the engine and fluids. Body articulation is somewhat limited side-to-side. Out back, there isn't much travel in the rear suspension. Another slight knock is that the dump bed does not tilt up very far - and I'm hesitant to keep trying to tilt it too far for fear of snapping it off. Cab detail, hoses and wheels look good. 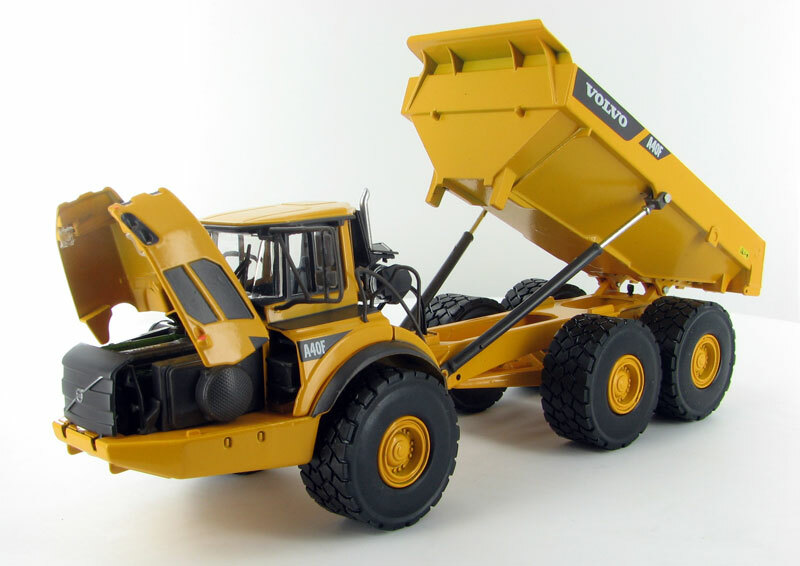 Overall, a nicely done model. If you like ADT's, consider adding this one to your collection.